It is a requirement of your Agreement, that the goods are protected against Theft and Accidental Damage. We can arrange Theft & Accidental Damage Cover for £0.91 per week. It is a requirement that products purchased on a credit agreement are insured. We can offer Theft and Accidental Damage Cover for £0.91 per week. 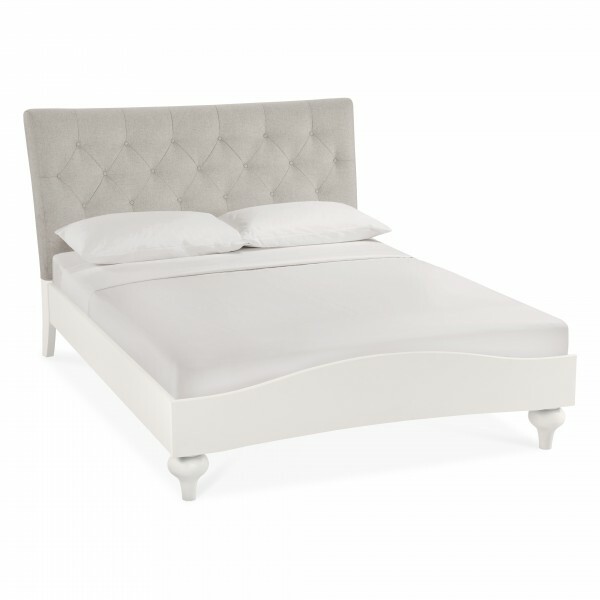 The Giselle Bed will sit beautifully in any bedroom. Finished as a light white with grey upholstery, the design creates a classical yet modern feel. The bed paired with our other collection items is sure to create a sophisticated feel and make your room a perfect room.